Back pain can sometimes feel like being in an infomercial. You know what we’re talking about: a man grips his lower back as the image goes gray and an X flashes across his scowl of pain. Back pain can be notoriously tricky to prevent. While back pain may come from an injury, fracture or sprain, it’s common for it to return over and over again. Sometimes you don’t even know why your back pain is flaring up, which can lead to frustration and stress. To help you out, we’ve put together a list of daily activities that will get you on the right track. Some of these tips may be small, but they can make a huge difference in your day-to-day life. Let’s stop that back pain before it even begins! Staying fit is key to preventing back pain. There are several reasons for this. First, excess weight can put more strain on your back. By exercising regularly, you can keep off the pounds and lighten the load on your back. Also, exercising helps strengthen your muscles, especially your abdominals, which are used for lifting and moving. The stronger the muscles, the easier time you’ll have during the day. You can even customize your exercise plan specifically for core strengthening. Another aspect of keeping your back in good condition is making sure your muscles and joints stay loose and fluid. Exercising is a huge part of this, especially low-impact activities like walking or swimming. However, you may also consider a holistic approach to strengthen your back, including yoga, pilates or massage therapy. In particular, studies show that yoga can have a positive impact on reducing back pain. Don’t forget that at the start and end of any physical activity, you should do warm-up and cool-down stretches. This involves 5-10 minutes of getting your muscles ready for the intensity level of your activity. During cool-down, your muscles will be nice and elastic, which is perfect for stretching too. By doing both a warm-up and cool-down, you’ll make sure your muscles don’t become stiff or strained. Make time for this simple part of your exercise routine. We (hopefully) spend eight hours sleeping at night, so the position you fall asleep in can really affect your back. Sleeping on your side is the best position to avoid future pain! If you have to, you can also sleep on your back, but try to compensate by putting a pillow under your knees. Whatever you do, don’t sleep on your stomach, which can seriously strain your back muscles. 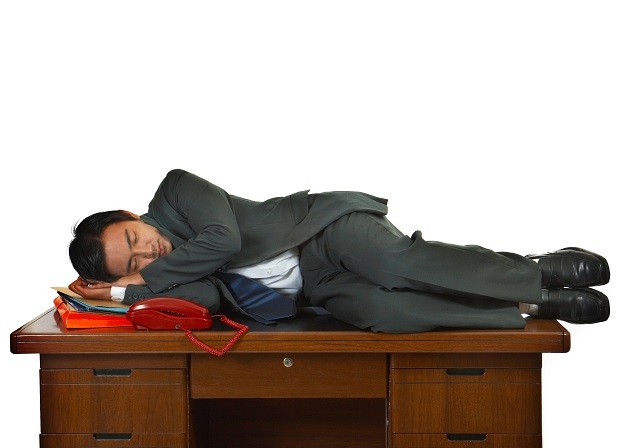 If you really want to enhance your back strength, you should also get enough hours of sleep. Try to find a sleep routine that gives you long, deep rest. Another related issue to back pain is having the wrong mattress. You should have a firm mattress that supports your back. Sleeping on a mattress that’s too soft or even rock-hard can put unnecessary stress on your back. Additionally, your three o’clock slouch at work is not doing wonders for your back pain. At your desk, use a chair with a straight back or back support, if possible. Monitor your posture as well. Make sure you don’t slouch, hunch your shoulders up or lean over too much. Sitting for long periods of time can stiffen your lower back muscles, especially around your discs. You can even make it a game. Can you catch yourself slouching in a meeting? At lunch? During a client phone call? Stay aware of your posture as much as you can. You should also try to prevent stress at work. Stress causes your muscles to tense up, which in turn can keep your back tense and injury-prone. Make sure you cultivate stress-free work habits and take lots of breaks during the day to keep you back fluid and comfortable. No, you can’t move a couch by yourself! Or that very heavy object. Whenever you need to lift objects, be sure to use your knees, legs and abdominals for best results. Ask for help if you need to and know your limits. If you have to lift something, hold the object close to you and/or use the pushing motion instead of pulling for maximum protection. Don’t get carried away – your lower back will thank you. As a good rule of thumb, always squat instead of bending over. This will engage your leg muscles and abdominals instead of twisting your back muscles. If you want more information on how to lift things properly, see these illustrations from the Mayo Clinic. Experts recommend the 8×8 rule, which means 8 glasses of 8 oz. every day. This will help keep your back discs hydrated and happy. These discs are responsible for fluid movements and if they don’t stay hydrated, they can’t do their job well. In general, being dehydrated can also make you perform less well physically too. Plus, there are lots of benefits of drinking water that will keep your body running smoothly. If you really want to get your body in good condition to prevent back pain recurrence, forget about fast food. Eating a high-fat diet is not a good idea for keeping your body’s system relaxed and unstressed. A plant-based diet is best and experts say the greener, the better. In particular, green vegetables like spinach and broccoli have a great effect on relieving back pain. What does clothing have to do with back pain? This is one of the most notorious clothing items for back pain. Try limiting the heel to one-inch or avoid wearing them for very long. You can always pack an extra pair of shoes in a pinch! Tight clothes: Anything that restricts your movement will put a strain on your back, especially pants or jeans. These can even reduce circulation to your legs and back. Opt for loose, practical clothing that doesn’t mess with your regular movements. If you’re wearing a dress, make sure you can sit and stand without trouble. Wallet: Sitting on a bulky wallet in your back pocket can really throw your back for a loop. Make sure your wallet is as slim as possible, or place it in a bag or backpack to avoid issues. It’s not worth adding tension to your lower back for something so small. Bags and backpacks: This is perhaps the most important clothing item to consider. Using a bag or backpack that’s too heavy is not good for your back. (Pro tip: don’t put all your college textbooks in your backpack.) Make sure you use wide, padded straps that you can adjust to place the backpack in the most comfortable section of your back. Try to keep the weight evenly distributed, so use both straps. If it only has one strap, use it on the opposite shoulder, which will ensure that your back is carrying the load as evenly as possible. Also, change the shoulder or hand carrying the bag as often as possible to reduce tension. Don’t carry a heavy backpack for too long or for too far. Clean it out of excess items and weight. Don’t be that guy with the stuffed backpack wobbling on a bicycle. That’s just too much for one person’s back! By following the fun tips above, you’ll be on your way to becoming back-pain-free and prevent it from ever happening again. Although back pain can result from many different things, including an injury, sprain or fracture, you can take these small steps to prevent it from coming back. Most times, following these tips and keeping your back in good health will make your back pain go away within a few days. 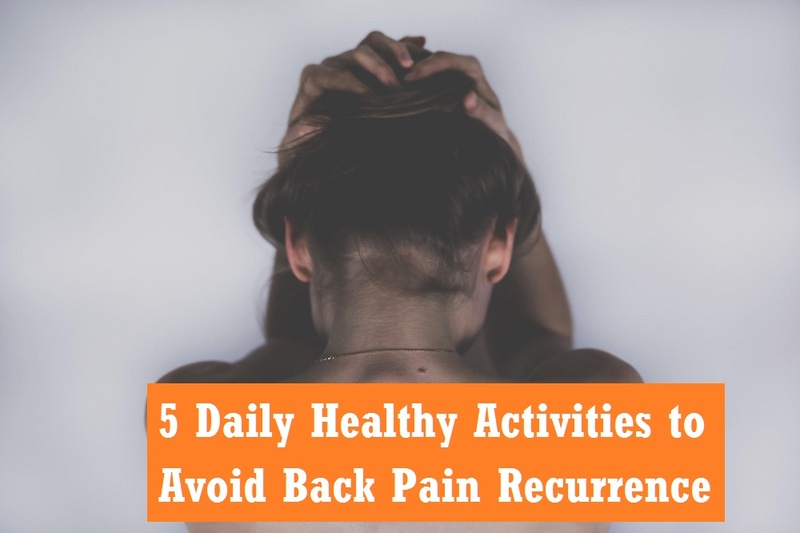 However, if you don’t see improvement within a week or you’re suffering from a lot of recurring back pain, you may need to visit a doctor or a licensed chiropractor for further treatment. You may see positive results by going to regular massage therapy as well. According to professional chiropractors and other experts, massage therapy can help relieve muscular tension and keep your muscles flexible and fluid. Sometimes eliminating your back pain is a matter of trial and error. Be sure to try out the tips above and find out what works best for you. We hope you stay back-pain-free! He founded Better Health Chiropractic in Anchorage. He became passionate about being in the chiropractic field after his own experiences with hurried, unprofessional healthcare providers. The goal for Dr. Wells is to treat his patients with care and compassion while providing them with a better quality of life through his professional treatment.